Excellent development or investment opportunity to acquire a sizeable site with Outline Planning Permission for erection of 2 detached dwellinghouses. 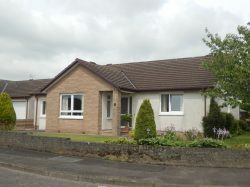 This is a semi-detached, easily-maintained bungalow, in a quiet residential area of Lockerbie, within easy walking distance of shops and other amenities. 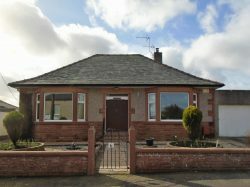 This is a modern detached Bungalow on an exclusive development set in a peaceful rural location between the towns of Lockerbie, Moffat and Lochmaben. 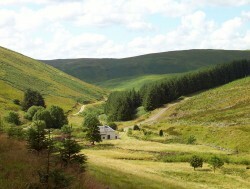 Well restored period Cottage in a uniquely beautiful valley location sitting in just over one acre of land with a meandering burn. 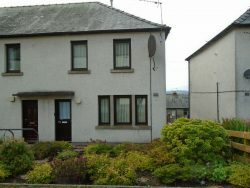 Deceptively spacious and bright ground floor flat in former Church, close to Lochmaben town centre and local amenities. The property benefits from double glazing and gas central heating and would suit a first time buyer, or those looking for a rental opportunity. Opportunity to purchase spacious 2 bed first floor flat with off street parking and a large garden. In need of some modernisation, but an excellent opportunity for rental or a first time buyer. 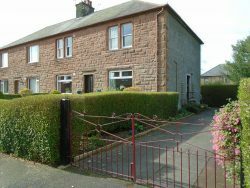 Ground floor flat in converted Sandstone Villa with private front & rear access. Light, bright spacious accommodation with two large double bedrooms. The property benefits from gardens to the front and rear with the addition of a large garage. Retaining many period features viewing is recommended. 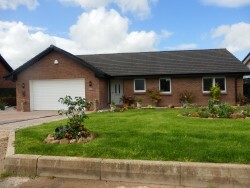 Immaculate modern detached bungalow, in a desirable residential area. Quiet location but within walking distance of the Town Centre and another amenities. This property is well-maintained, and has been extended into the garage, creating an ideal living-space, with a family room lying off the large dining-Kitchen. A well-appointed property, of genuine walk-in standard, it must be viewed to appreciate its quality. 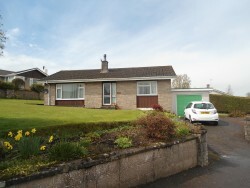 Opportunity to purchase a spacious 3 bed det bungalow in sought-after residential area of Lockerbie. 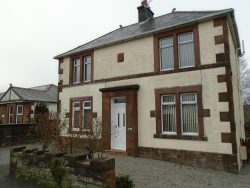 Potential to extend, this property would make a lovely family home or suit those looking for one level accommodation. Viewing is highly recommended. 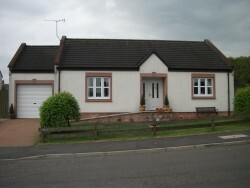 Outstanding modern detached bungalow located on the fringe of the village of Collin, near Dumfries. Light & bright, exceptional family living-space with the benefits of modern family living Integral garage & landscaped gardens to the front and rear. Viewing Highly Recommended. 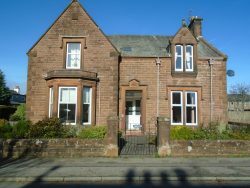 An opportunity to purchase a spacious first floor and attic maisonette in a converted former school. The property enjoys stunning views over the nearby Castle Loch to the surrounding Annandale Valley, the tennis courts and bowling green. The lounge and study/home office area are located on the top floor allowing the full benefit of these remarkable views. The property has double glazing throughout and a modern electric heating system which is zone controlled with remote programming. 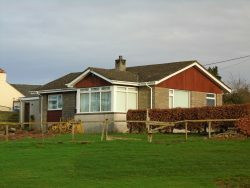 Situated on the edge of the Burgh of Lochmaben the property is within walking distance of all of the towns’ amenities including the 18 hole golf course, tennis courts, bowling green, sailing club and primary school. 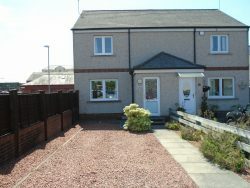 Opportunity to purchase spacious three bedroom detached Villa close to Town Centre, local primary & secondary schools. The layout of the property allows the purchaser to use as their needs demand. Large rear garden and off street parking. Viewing highly recommended. 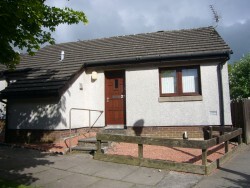 Modern Detached Bungalow in a wonderful location on the fringe of the sought-after village of Hightae. Three bedrooms, with Garage, parking and Paddock with separate vehicle entrance. 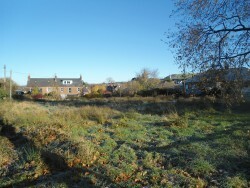 This property must be viewed to appreciate the potential of the delightfully-located rural home. 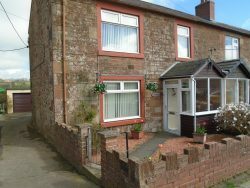 End-terraced, small 3-bedroom family home located on the fringe of Ecclefechan. Lounge with Living-flame gas fire, and modern fitted Kitchen. Double Glazing & LPG heating. Rear Access with garage and garden to the rear and a roadside garden to the front.